Happy Thursday! I hope your week is coming to a beautiful close. Where I live we’ve been getting snow all week. It’s a true winter wonderland and I love it! For today’s card, love is in the air. 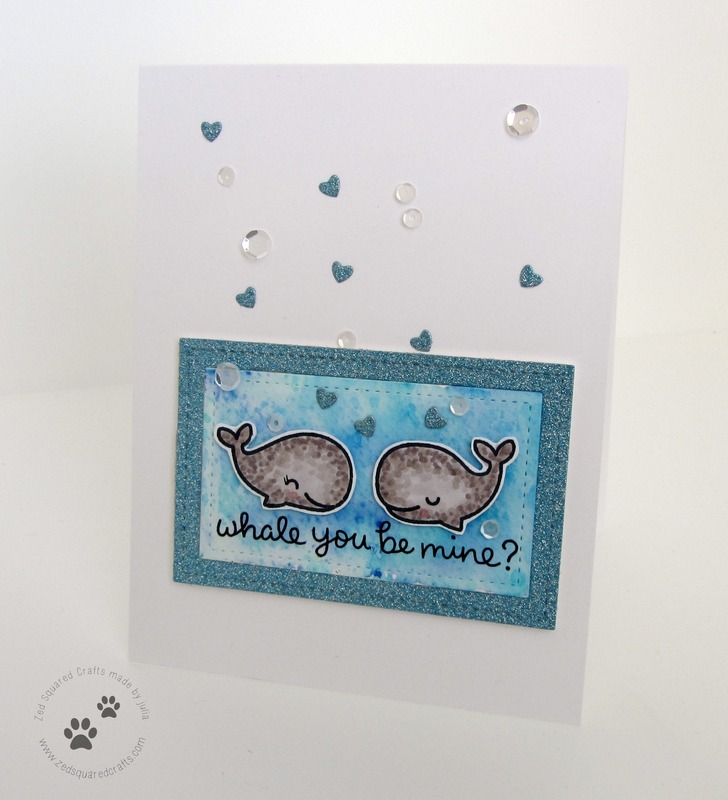 I used stamps from Lawn Fawn and a blue colour scheme to create a non-traditional valentine’s day card. I think this one would be great for any guys in your life. You can watch the how-to video below, or over on my YouTube channel. I thought the blue went perfectly with the stamp set. I even incorporated some sparkly paper for some extra razzle dazzle. I tend to steer away from anything sparkly when I make more masculine cards, but I think you can get away with a little extra pizzazz on valentine’s day cards.